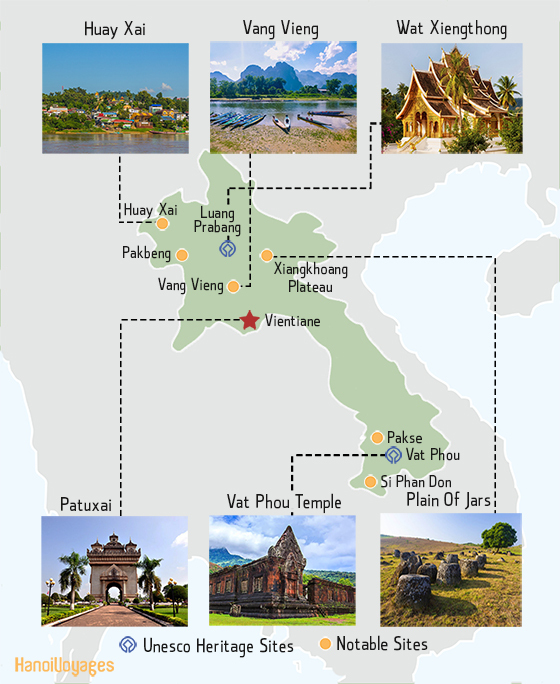 Laos is a landlocked country in Southeast Asia with a high density of rivers, mountains, greenery, and highlands. But there is more to Laos. Lao Loum (Lowland Lao) is a Buddhist area and you can spot many monks here. Here lies Vientiane, the capital and the largest city. The Lao Soung (Highland Lao) is home to hill tribes. 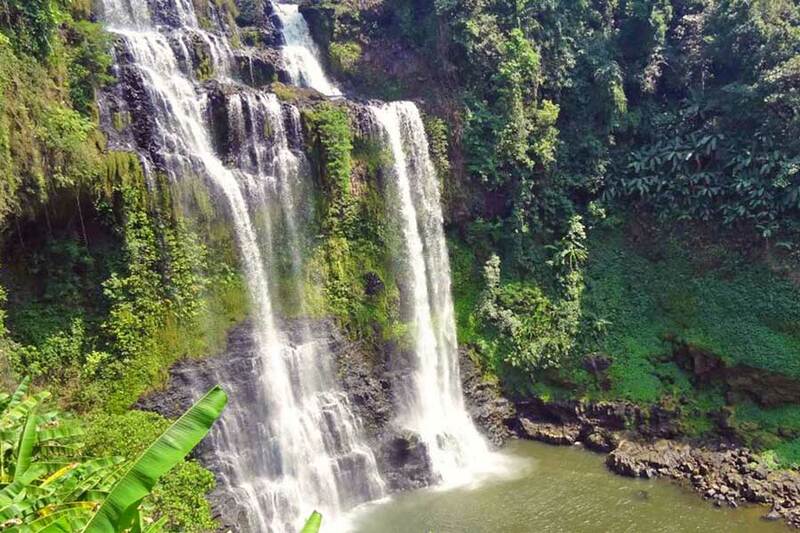 Discover places to visit Laos and the best time to visit? Declared a UNESCO World Heritage Site, it is the most serene and spiritual city in the country. There are still many active monasteries here, and incredible golden temples with elegant, traditional roofs that inspire not only to meditate but are also a photographers dream. 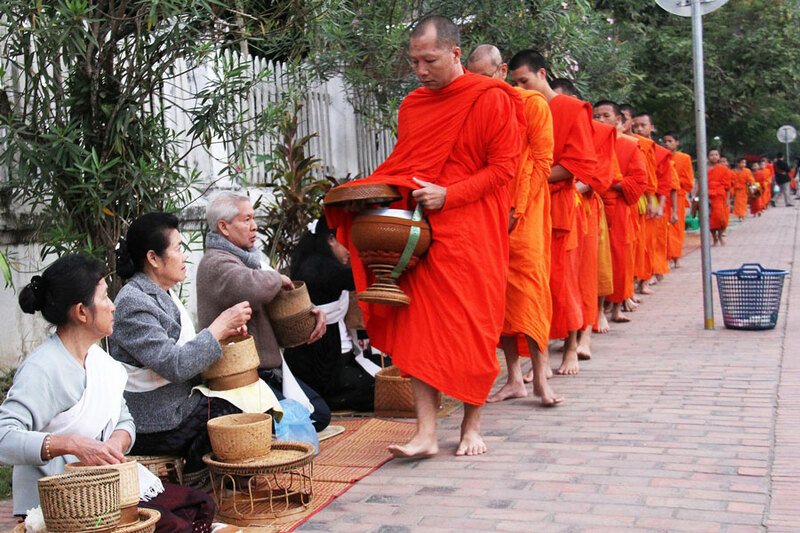 See the procession of barefooted, saffron-robed monks and listen to religious chants. Being described as a small, sleepy and peaceful capital, tree-lined boulevards and numerous temples are a layoff from the busy and noisy capitals of other Southeast Asian countries. Catch your breath, especially at dusk when you can sit at the riverside restaurants. Try Laotian cuisine and watch the skies turn red. 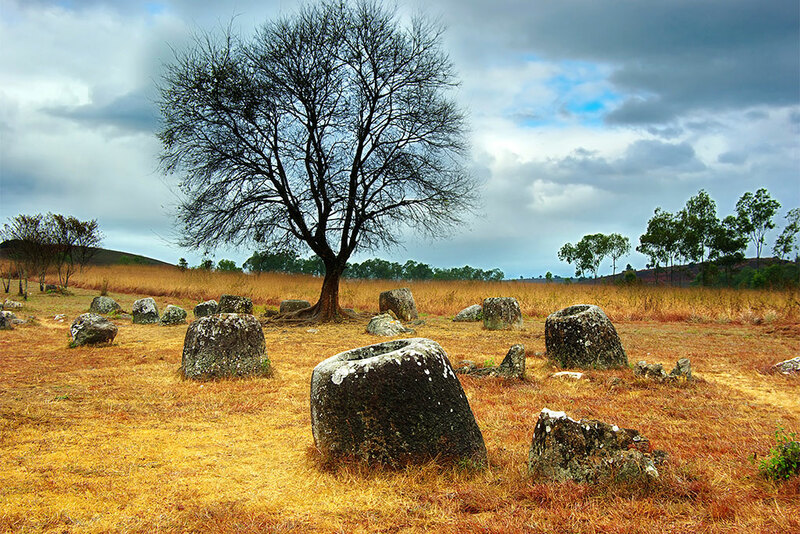 The Plain of Jars is a large area around Phonsavan where huge jars have been found scattered over a large area, most weighing between 550 kgs to 1 tonne, with the largest approximately 6 tonnes. Archaeological studies have yet to see all the secrets of the jars, but they have all been carved from solid boulders, and nothing comparable has been discovered anywhere else in the world. Probably the most productive agricultural region in the country with tea, pepper, cardamom, and rubber tree farms scattered amongst the huge coffee plantations, of both Arabica and Robusta beans. Did you know that Laos produces over 10,000 tonnes of coffee beans from this area every year, mostly for export? You guessed right, the “Wat” in the name is not the only similarity. 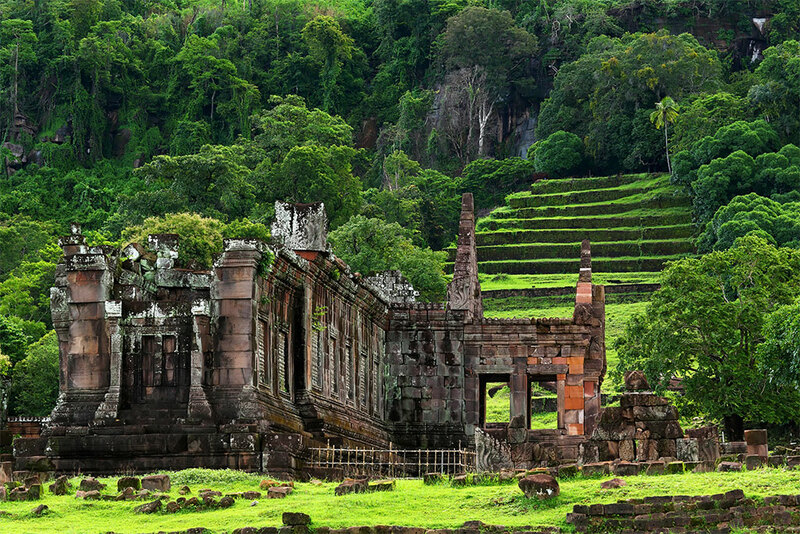 The same monarchs who are responsible for building Angkor Wat built Wat Phou complex. It is even older than Angkor Wat! Do not miss stunning views over the surrounding land and Mekong from this UNESCO protected place. 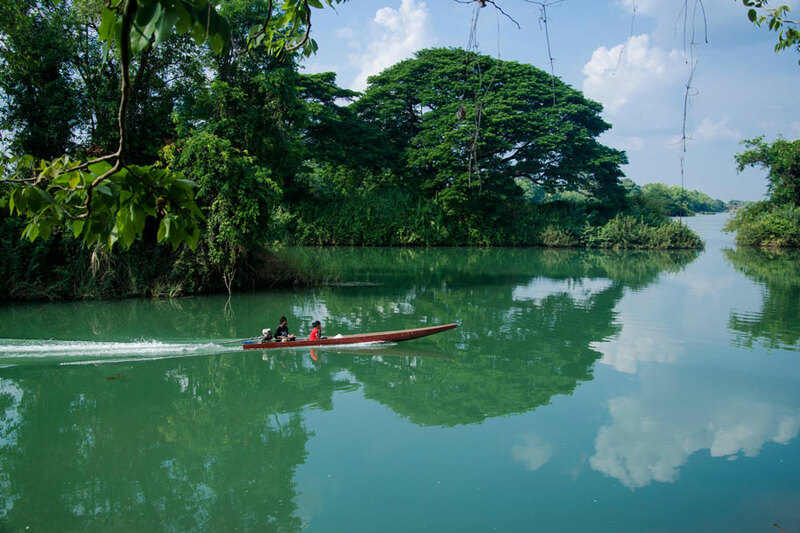 The largest of the islands of this river archipelago are inhabited all year round, and the tranquil river-oriented village life of the area makes this beautiful part of Laos somewhere to spend some relaxing time. If you are lucky, you will spot some freshwater dolphins, and there are some spectacular waterfalls and river rapids in the area to visit. 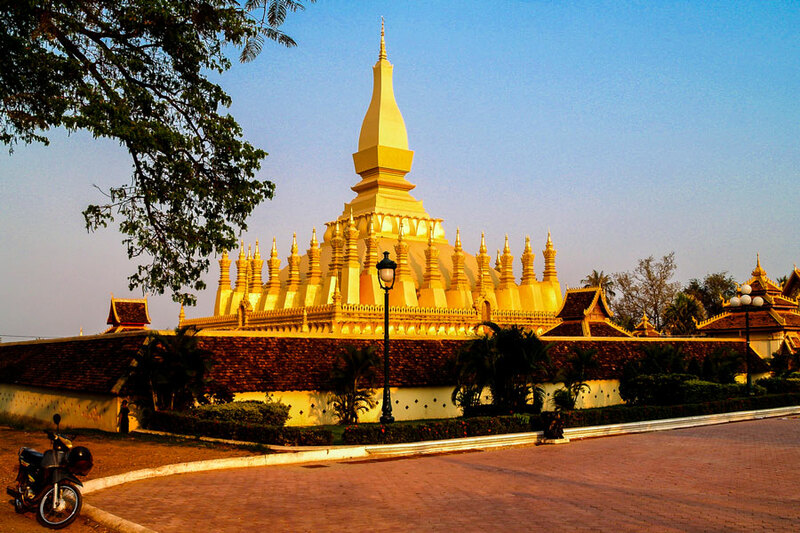 In our opinion, those are the best places to visit in Laos. Agree? Have some additional place on your mind? Contact us to discuss it!